This Library Research Guide is meant to pinpoint our best databases for information technology-related research, as well as recommend specific titles and search strategies for popular topics in this field. Use the tabs at the top of the page to navigate to different topics and services. Formerly known as Books24x7, Skillsoft Books offers full text access to thousands of leading professional books from top industry authors and publishers in the business and IT fields. Additionally, you can find thousands of videos about business leadership, coding, desktop software (like Microsoft Office), and more. 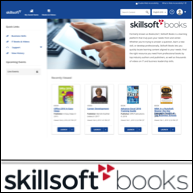 For more information about how to use Skillsoft Books and what you can find there, including a video walkthrough, visit our Guide to Skillsoft Books. 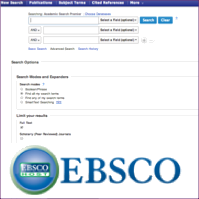 From EBSCO: "With Computers & Applied Sciences Complete, researchers with a focus on computing and applied sciences disciplines are provided with a vast knowledgebase of content pertaining to traditional engineering challenges and resources. This database is also an outstanding source for content concerning the business and social implications of new technology." These collections contain articles and sources on IT topics, but aren't a specialized resource. 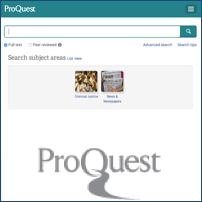 Academic Search Complete offers a large collection of 9,000 of the most valuable full-text journals, providing users access to critical information from many sources unique to this database. In addition, this database is the leading source of peer-reviewed, full-text for STM research, as well as for the Social Sciences and Humanities. This scholarly collection offers unmatched coverage of information spanning a broad range of important areas of academic study, including anthropology, engineering, law, sciences and more. Business Source Complete is a scholarly business database, providing the leading collection of bibliographic and full-text content on marketing, management, MIS, POM, accounting, finance and economics. With more than 130,000 titles, this growing collection contains a large selection of multidisciplinary e-book titles representing a broad range of academic subject matter. New titles are regularly added throughout the year and a limitless amount of simultaneous users can read a title.